One thing we all love in this house is yoghurt . The girls have yoghurt most days with either fruit for breakfast or after dinner as a pudding . 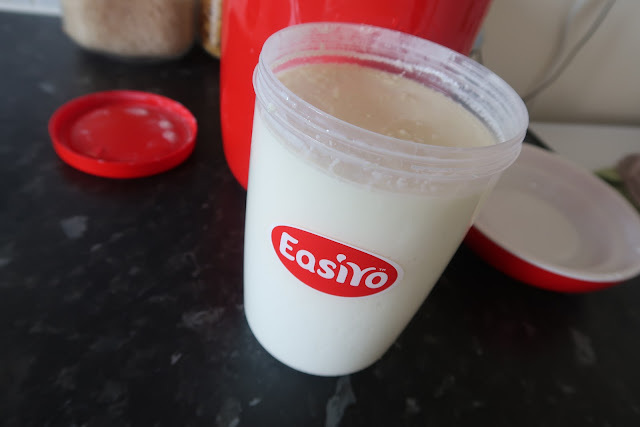 We were sent an EasiYo yoghurt maker to test out and I’ve got to be honest , I had never heard of it before but couldn’t wait to test it out and make some yoghurt of our own. The EasiYo Breakfast bowl is the most simple and easy breakfast to whip up in no time at all. Whether you’ve got a really busy day ahead of you at work , or you work from home and need something quick to put together : EasiYo is definitely for you. I make our yoghurt over night so it is ready for the morning and keeps well in the fridge for 5 days - not that it lasts that long in this house :) it’s so simple to make . Just add a satchet to water in your container and pop it in the maker with hot water for 8-12 hours. It is as easy as that. 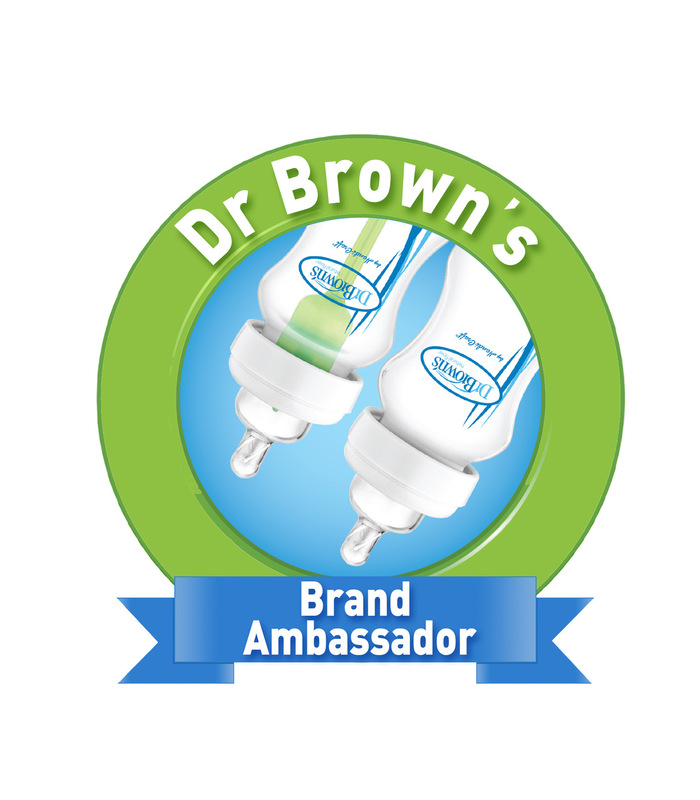 There are so many different flavours to choose from, including the new range which includes strawberry and banana , our favourite flavours combined sounds like heaven in a bowl! 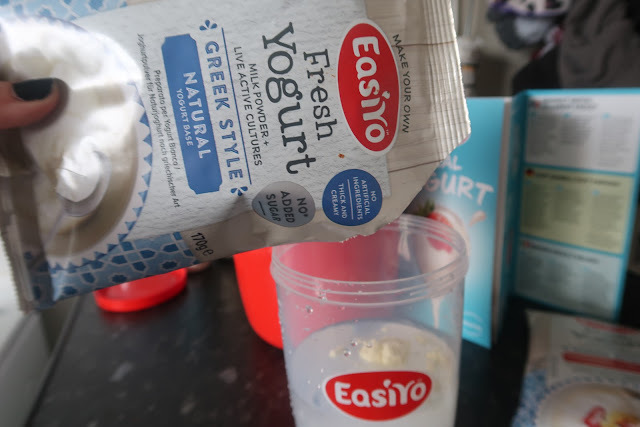 Pour into a bowl your EasiYo Greek style yoghurt . I used 100g. Slice up your fruit . 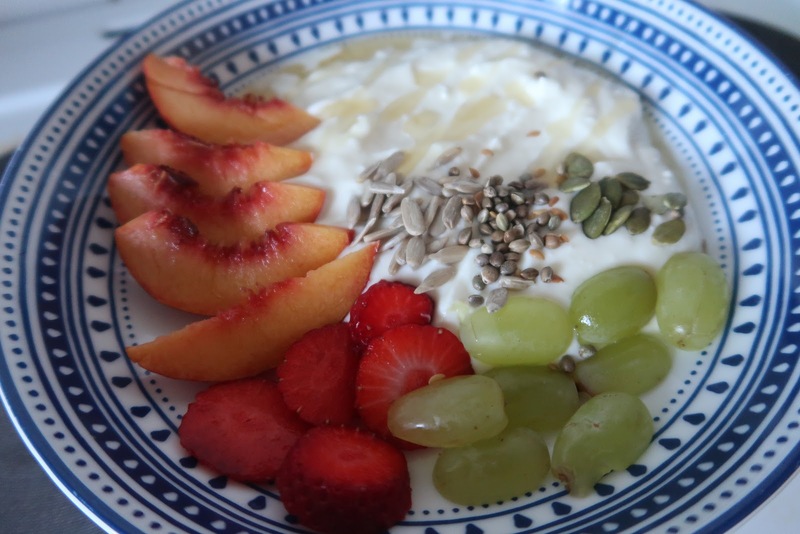 I used nectarine, which is my absolute favourite!, strawberries and grapes. Toast off your nuts and seeds in a pan for a few minutes with your salt , then add them to your breakfast bowl. Drizzle over your agave nectar or the syrup of your choice . The girls love having maple syrup over theirs and golden syrup works well too! If you fancy a naughty treat with your breakfast. Crikey! I remember the days of having breakfast with kids in our house and it was a bloody nightmare at times so anything that can be done to make it easier i'm all for!! Sounds great! I'll look into this. Making your own yoghurt must be so much better for the environment, without the endless supply of plastic pots! What a lovely review. I will try the recipe.